The 1490 10-eye boot from Dr Martens is a classic! Laced even higher for an amped-up attitude. Reinvented: This version turns up the volume on the punk influence, with studding, a platform sole and a monochromatic colour scheme. Similar in design to the popular 1460, the 1490 is slightly taller, fitting ten eyelets up the lace-up on the forward leg. 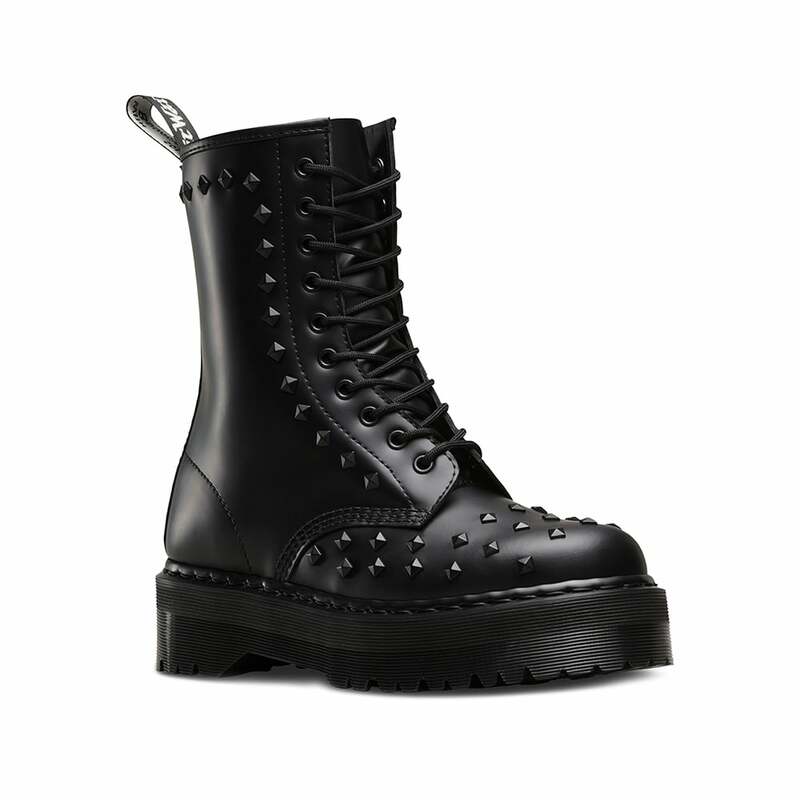 The 1490 Stud has heavy studding on vamp and collar. The boot sits on the iconic AirWair™ sole, which is oil and fat resistant, with good abrasion and slip resistance. Don't delay... get your fierce pair Dr Martens 1490 Stud Womens 10-Eyelet Leather Boots at Scorpio Shoes today!